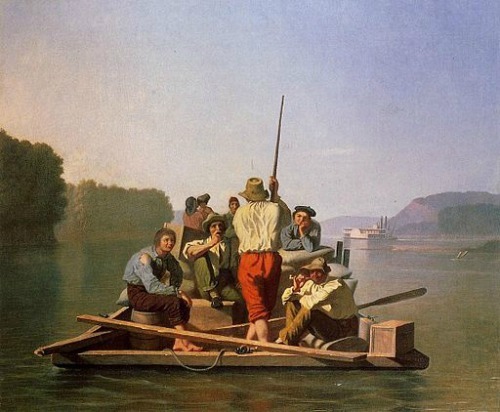 George Caleb Bingham, who was born on March 20, 1811 in Augusta County, Virginia, was very popular for his genre paintings. He was exceptionally fond of the frontier life around and on the Missouri River. His paintings showed the characteristics of the Luminist style. His works were forgotten but were discovered around the 1930s, after which he was recognized as one of 19th century American art’s greatest painters. He was a painter that was recognized for his genre paintings as well as for portraiture and landscapes. Bingham was born on a farm but his family moved to Missouri Territory when he was eight years old. His childhood was spent around the communities of Boonville, Arrow Rock and Franklin. Bingham had all the inspiration for great art, what with the inhabitants, the history and the landscape in the area. He did spend a short time learning painting techniques from American portrait artist, Chester Harding, who was then doing the portrait of Daniel Boone. Despite that, Bingham, as a teenager, was learning sign painting, cabinet-making and joinery. He and Harding had a second encounter and he was encouraged to paint. Bingham later discovered that he had a natural gift for painting portraits. In his early 20s, Bingham was already producing works that were far more superior to the works of established frontier artists around that time. He eventually had a regular source of income, as he became a favorite of who’s who in Missouri during the 19th century. Throughout his career, he was able to produce about 500 portraits alone. It’s significant that most of his works, particularly his landscapes and genre painting are rare, and others were owned by art museums across the United States. There are a few North American Frontiers Painters who are considered very important artists before the dawn of photography. Some of them include Thomas Cole, Albert Bierstadt, George Bingham and Edwin Church. Most of them belong to the Hudson River school, whose members specialized in painting landscape scenes of the American wilderness. As a painter, George Bingham has very good sensitivity and skill, depicting the way of life during a bygone era with realism, enhancing the scenes with strategic lighting. For a short time, Bingham studied fine art at the Pennsylvania Academy of Arts. Before he returned to Missouri, he worked as a portraitist in Washington. 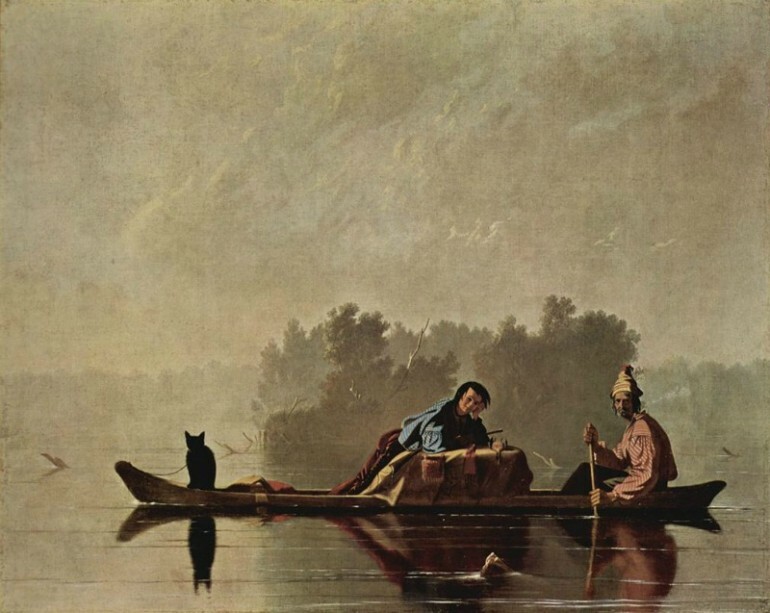 In Missouri, he realized that he finally found the type of paintings he wanted to – genre paintings focused on frontier settlers, river boatmen and fur traders living in and around the Mississippi and Missouri rivers. After a time, he focused on land-based sceneries, depicting life around Kansas City, Jefferson City, Columbia and St. Louis. He depicted political campaign scenes, day to day activities of residents in the areas and activities that traders during that time engaged in. While his works were described as genre paintings, Bingham had the sensitivity to add touches of Luminism in his landscape art when he depicted light and color. This added a dynamic element to his pictures, showing the sharp contrast of light and dark against colors when painting scenes in broad daylight. Bingham’s fame reached far and wide across the eastern part of the United States, with the powerful support of the 20,000-strong American Art-Union (AAU), which was based in New York. The union initially bought four paintings by Bingham, namely “Rural Scenery,” “Cottage Scenery and Landscape,” “The Concealed Enemy,” and “Fur Traders Descending the Missouri.” Eventually, the union bought 20 more paintings, and some of them were engraved and given to selected Union members. Bingham painted the portraits of two U.S. Presidents, Jefferson and Washington and also became the University of Missouri’s first Professor of Art.